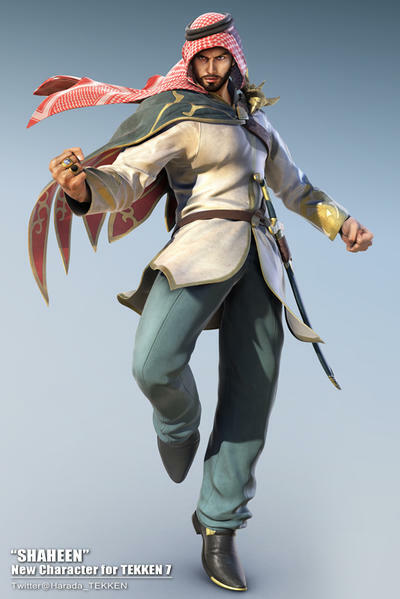 Keeping true to his promise and proposal to the Tekken fanbase, Producer Katsuhiro Harada has finally shown off the design for Tekken 7’s Shaheen, the first Arabian character in the popular fighting franchise. 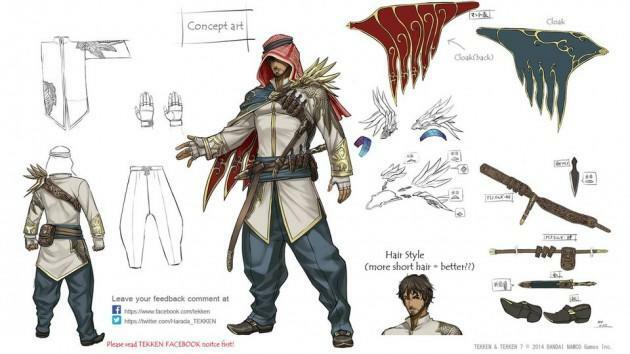 Word of Shaheen first got out back in August when Harada polled the franchise’s Middle East fanbase, where Tekken is apparently very popular, and asked for some hands-on help from the fans with finalizing the character’s design. As you can see from the concept art, Harada didn’t alter Shaheen too much, but he is armed with far less weapons than before. Looks pretty solid. There is no word yet on if he will be among the characters available in every region of the world though. Earlier in December, Harada got into a small spat with Western fans over a character named Lucky Chloe, and he announced that some characters would be released only in regions that they were intended for. Despite having turned directly to the Middle Eastern fanbase, I have a feeling this character will be available no matter the country. Tekken 7 will be released in arcades in Japan in March, and the home console port should not take too long to follow. It is being powered by the Unreal 4 Engine, and it looks out of this world.